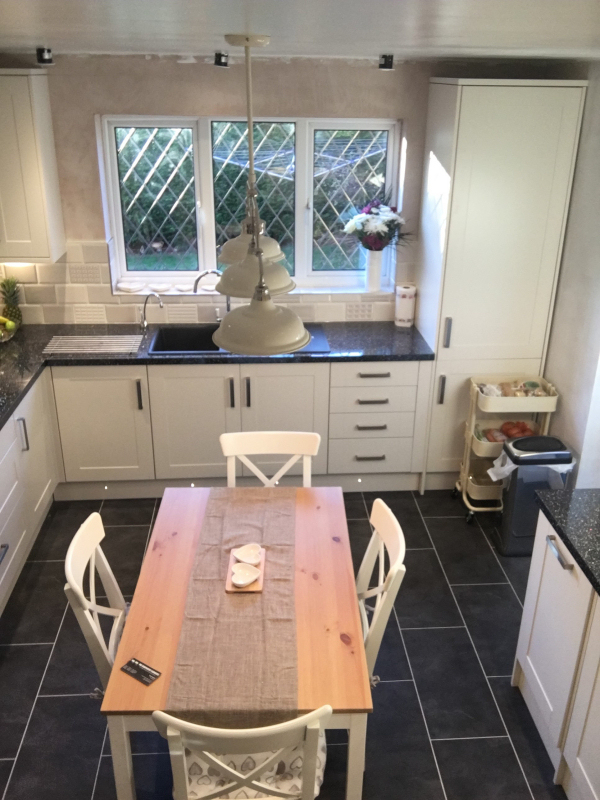 To strip out existing kitchen and fit, client supplied new kitchen. 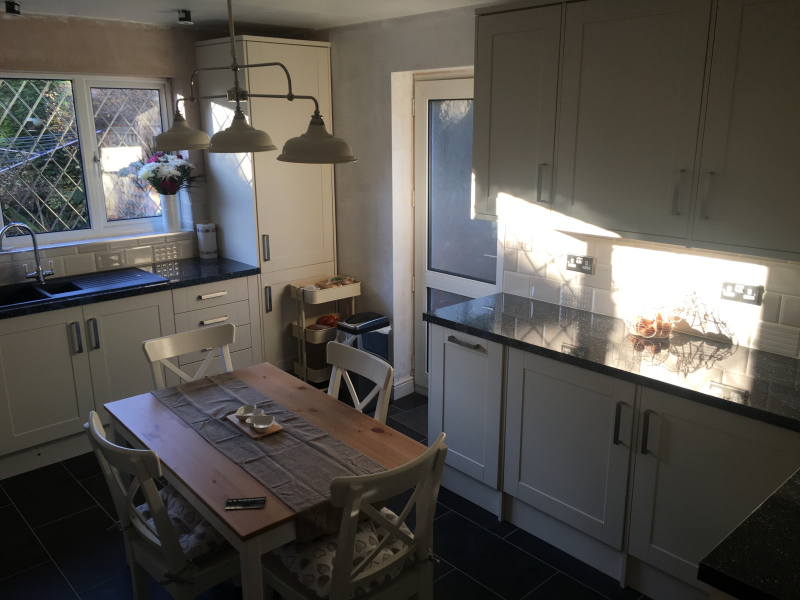 We started this project by stripping out the existing kitchen, including taking down the ceiling in order to access services. 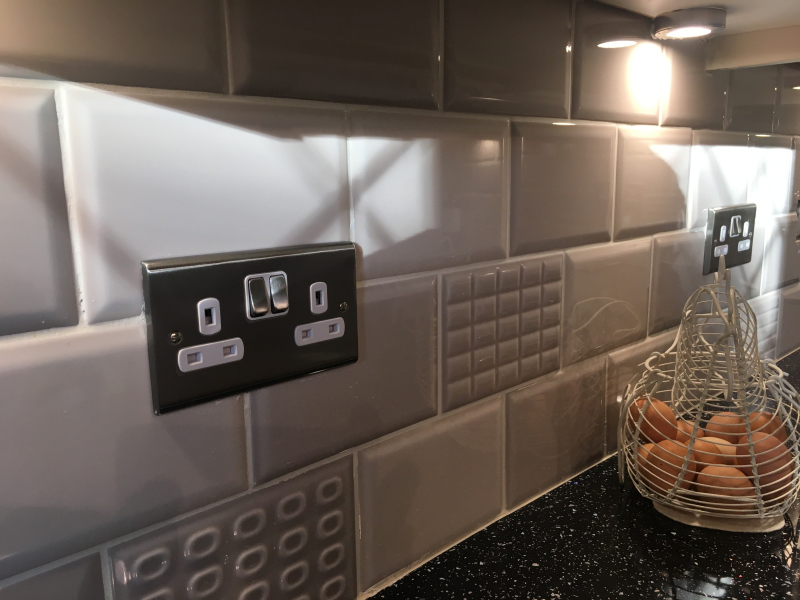 Both the ceramic wall and floor tiles were also removed. 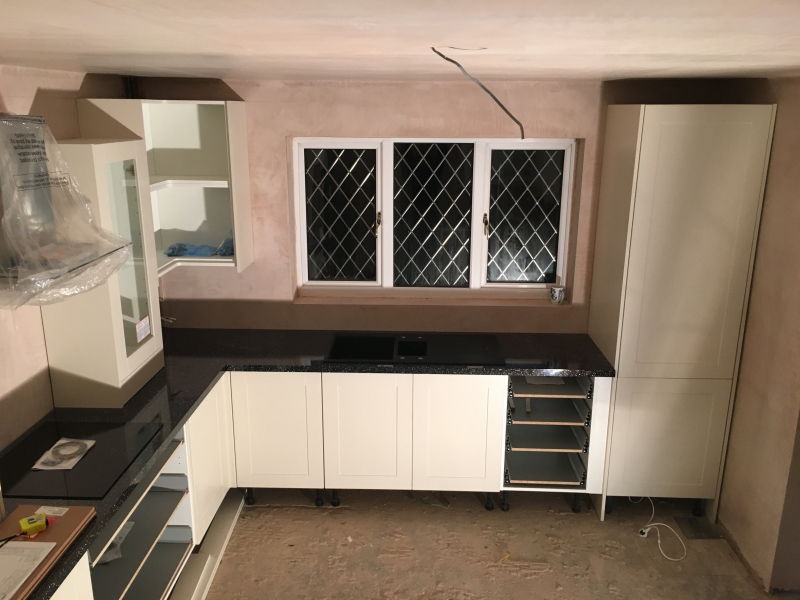 The floor was levelled, and the walls along with the new ceiling were plaster skimmed. 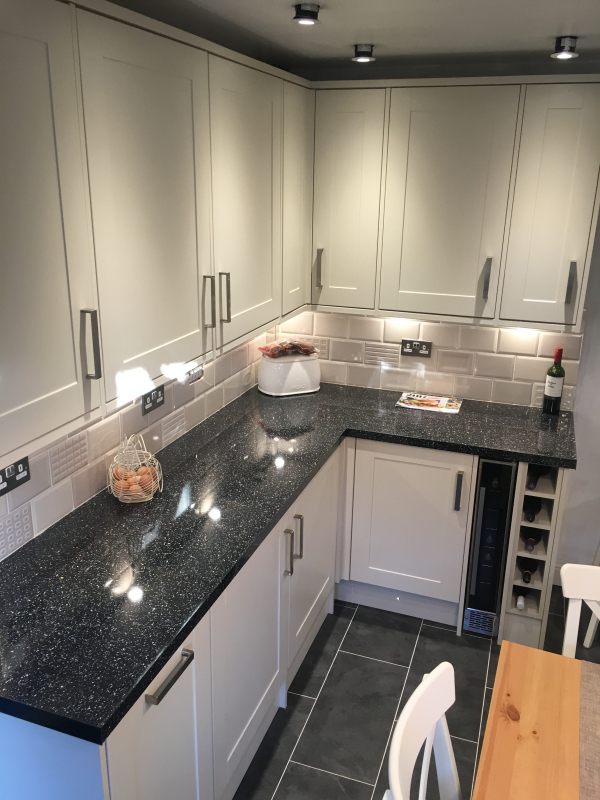 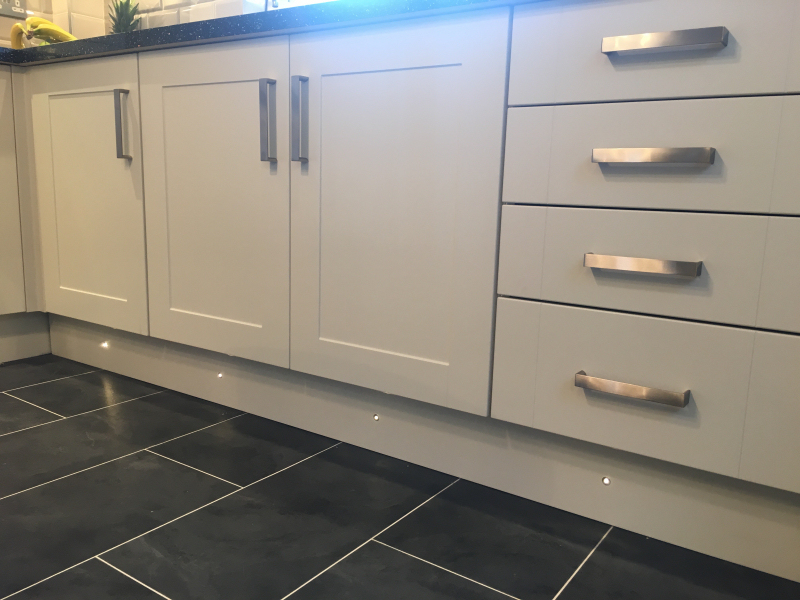 The new kitchen was provided by the client however due to manufacture and design challenges, we re-designed the kitchen using the already purchased units to create a better layout, and keeping the feeling of a bright and airy space, which was very important to our client. 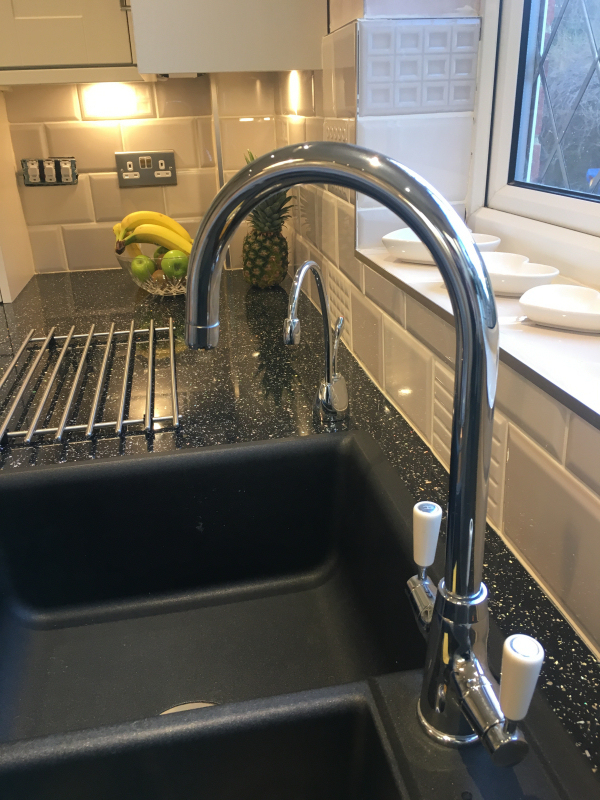 The original boiler was removed and a new one was fitted into a new location within the property by our certified Gas Safe plumber. 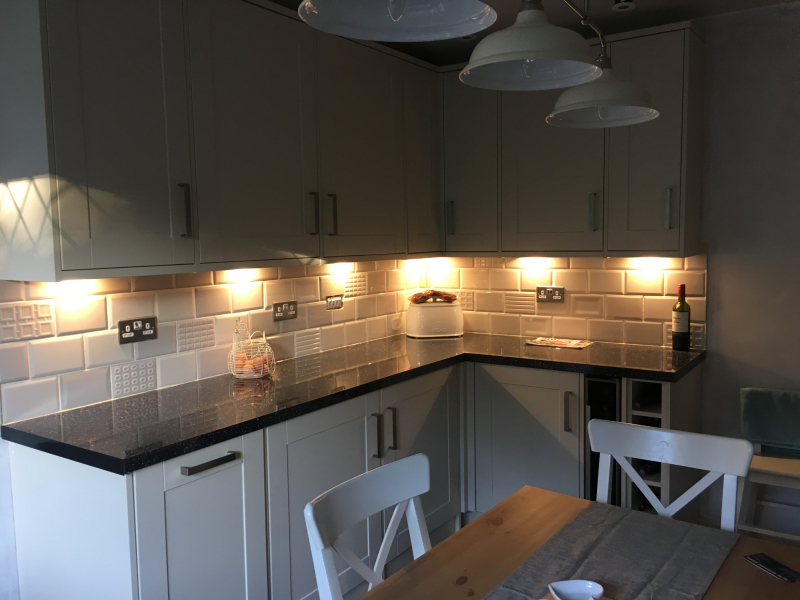 All electrical works were carried out by our fully qualified electrician. 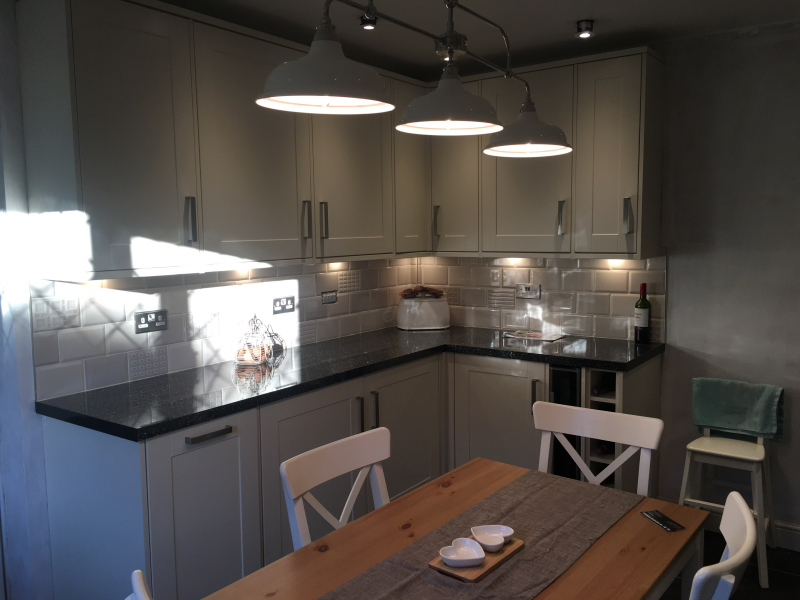 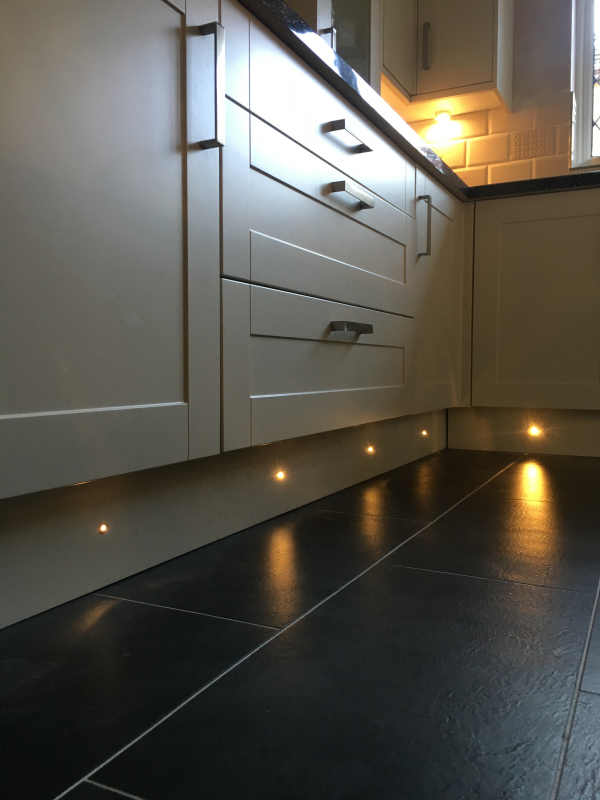 Although we can offer a cost to include decoration, the clients chose to complete the finishing touches themselves for this project. 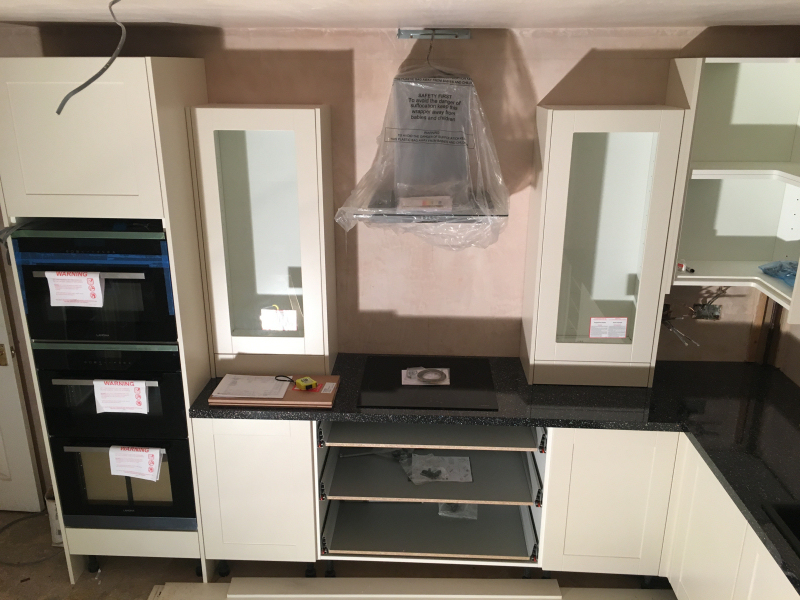 New fully fitted kitchen with integrated appliances. 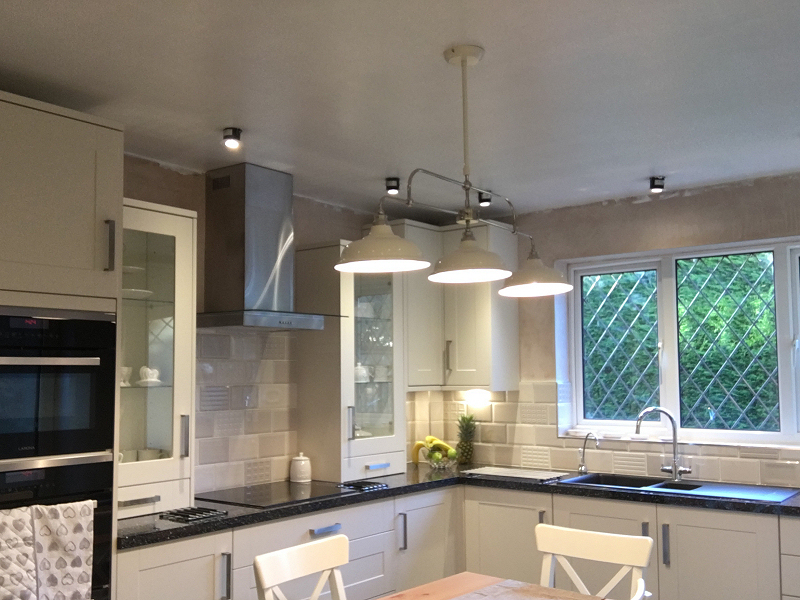 New down lights to ceiling and extra sockets added to walls.